Hundreds of types of plants throughout North America are susceptible to powdery mildew, a fungal disease characterized by patches of white or gray powder on the leaves. Plants, grass, trees and shrubs are all in danger of contracting powdery mildew, and the disease can potentially destroy the whole plant. The powder will be most evident on the leaves of the shrubs. Controlling and eliminating powdery mildew at its first sign in necessary to protect your garden. Prune infected areas out of your shrubs at the first sign of infection. Cut away any infected branches or leaves and dispose of them away from any plants or shrubs. Dip the shears in a bucket containing a mixture of one part bleach to four parts water to disinfect after each cut, so that you do not spread the fungus. Apply fungicidal soap to the affected shrub. This soap, available at many nurseries and garden centers, will help to prevent the spread of the disease but is safe for plants, animals and humans. Follow application instructions for your particular product. Mix one teaspoon of baking soda for every one quart of water in a spray bottle. Spray onto the shrubs once per week to prevent the spread of powdery mildew. Apply a sulfur-based fungicide to your shrubs every seven to 10 days to protect healthy shrubs from contracting powdery mildew. These fungicides are available at most garden centers or nurseries. 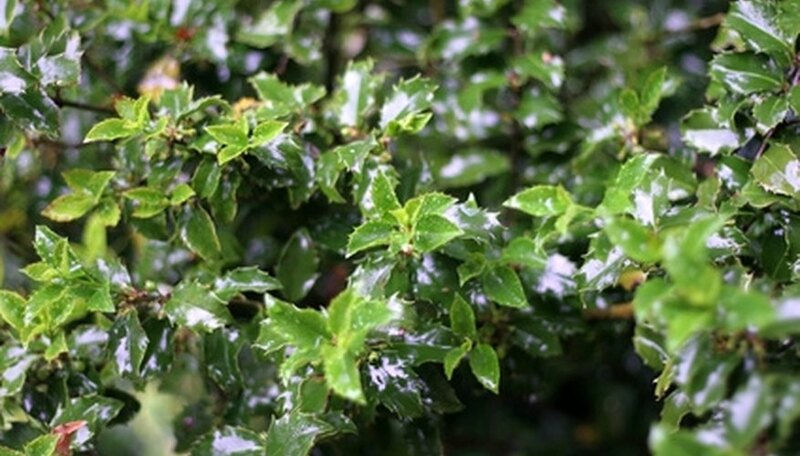 Whenever you spray soap or fungicide onto a shrub, be sure to cover both the top and underside of the leaves so that all surfaces are protected from powdery mildew.